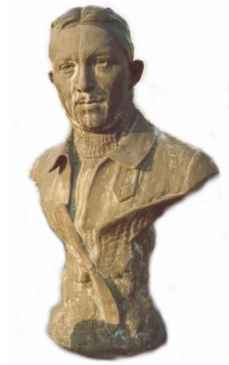 An aviation pioneer, he was born in Reims, 5, rue Flodoard, on September 22, 1887. He died in Neuilly-sur-Seine on November 27, 1952. Lucien Maurice Prévost, joined the Betheny Deperdussin aviation school in Novembre 1910. 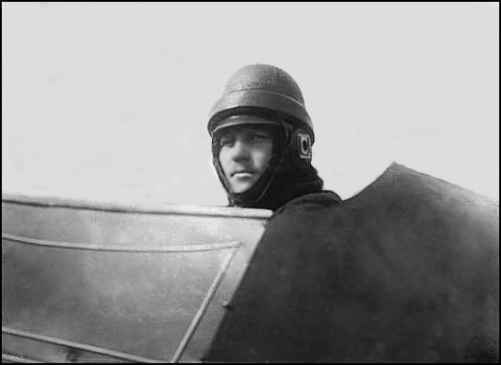 In September, 1911, Maurice Prévost made third place in the Betheny military air contest, and won the altitude section. In December 1911, from the Reims / Champagne airfield, he reached 3.200 mètres (10000 ft) breaking the world record with a passenger. On September 27, 1913, during the Reims grand-meeting, (the Gordon-Bennett cup which he won), he broke the speed world record at 200 km/h (108 Kts) for one hour. He was made "Chevalier de la Légion d'Honneur" and in 1948, the army promoted him as an officer . Maurice Prévost married Jeanne Catherine Françoise Mulaton (1881-1956) in Reims en 1921. He was buried in the "Southern cemetery", his grave being decorated with a bust signed Leon Chavalliaud which was presented to him in 1913 for his Gordon-Bennett Cup victory. ONLINE RESOURCES If you search for "Maurice Prevost +aviation" using the Google search engine, (9-22-03), you will find about 28 links. Armand-Jean-Auguste Deperdussin (c.1870 - 1924) The career of Maurice Prevost was intimately related to that of Deperdussin. On this comprehensive website which was assembled by Dr. Russell Naughton, you will find numerous references to the activities of Prevost scattered throughout the text. You will probably want to use the FIND button so as not to miss any. You can access the page by clicking on the title above. 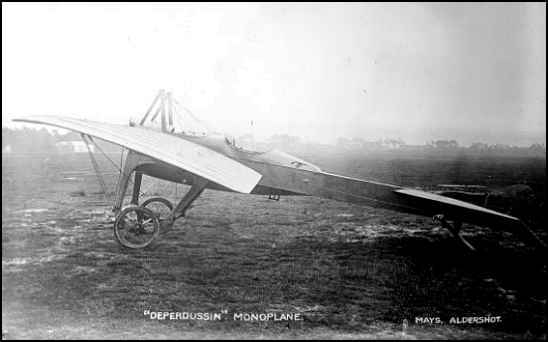 DEPERDUSSIN 1913 RACER You will find several references to Maurice on the Fiddler's Green website. They are scattered throughout the story, so you may want to use your "Find" function on "Prevost" to locate them. You can access the page by clicking on the title above. While on the site, I invite you to visit the Homepage where you will find an interesting assortment of paper model kits. The categories include; Pioneer Flying Machines, WWI, WWII, 1930s Racers, Jets and Aerospace, Private Planes, Bombers, Prop Disks and CD rom. Each of the kits has a description of the plane, with colored photographs and plans in the "Reference Library." You will find a wealth of important information on this site. You can access it by clicking on "Fiddler's Green" above. You may want to sample some of the other sites, but you will find that most of them only briefly mention his speed record successes.